Super Savings Item! 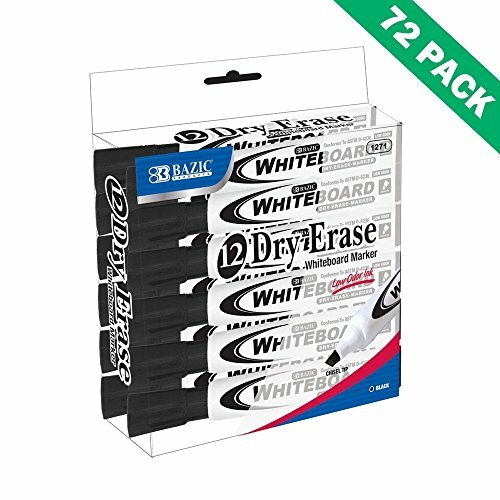 Save 38% on the Bazic Black Chisel Tip Dry-erase Markers (12/box) by Bazic-Products at Ledina. MPN: BF-B0E0-F35F. Hurry! Limited time offer. Offer valid only while supplies last. The marker is made of versatile chisel tip for writing; it is black and dry-erase, which can be wrote on whiteboard. The 12 dry erase markers are black and with versatile chisel tip for whiteboard writing. The dry erase whiteboard black markers with chisel tip can be used well in schools, classrooms or offices. The black dry erase markers for classroom, schools have chisel tips and there are 12 in a box. The classroom whiteboard dry erase markers 12 are black and the marker chisel tips are durable. View More In Erasable Markers.